SysInfoTools Outlook Password Recovery is listed in Password Managers and Generators category and made available by SysInfoTools Software for Windows. Unfortunately, we have not yet reviewed SysInfoTools Outlook Password Recovery. If you would like to submit a review of this software, we encourage you to submit us something! What is SysInfoTools Outlook Password Recovery software from SysInfoTools Software, what is it used for and how to use it? MS Outlook or Microsoft Outlook is a information management program developed by Microsoft corporation. This software program is used by millions of user and organization world wide to manage the information. It has many features like calendar, task manager, notes, email application etc. MS outlook comes with Microsoft office suite and it can also work as stand alone software. MS Outlook uses PST files to store all the information. All the information about task, journals, notes, emails and any other document is store in the pst file. to limits the access to the information stored in the pst files mostly people uses passwords. In todays world while working on the internet user have to maintain a number of password and to remember a number of password is a tricky task. Most of the times user writes their password in the personal diaries or notebooks, the real problem comes when the user forgets the password of the pst file or lost the diary or notebook in which the password is written. In such situation accessing crucial information becomes nightmare. But with MS Outlook Password Recovery from SysInfotools, you can recover your password easily in just few clicks and key strokes. 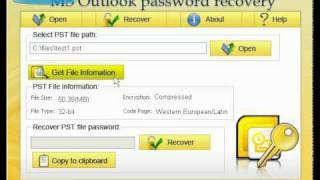 Outlook Password Recovery from SysInfoTools retrieves lost or forgotten password of Microsoft Outlook and password protected pst files. 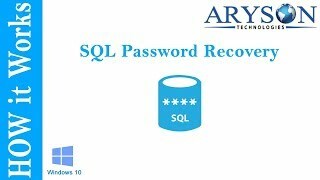 This PST password recovery tool supports the recovery of passwords of all major version of MS outlook. This can recover password of any length and display them in readable string. This utility also allows you to store the password in clipboard or file. MS Outlook Password Recovery from SysInfotools is loaded with highly interactive user graphical interface and easy to use, no extra technical skills are required by the user to use the software. We recommend our customers to try the free Demo version for free evaluation. Download and install SysInfoTools Outlook Password Recovery safely and without concerns. SysInfoTools Outlook Password Recovery is a software product developed by SysInfoTools Software and it is listed in Security category under Password Managers and Generators. SysInfoTools Outlook Password Recovery is licensed as Shareware which means that software product is provided as a free download to users but it may be limited in functionality or be time-limited. You may need to pay at some moment to continue using product or to use all functionalities. You can run SysInfoTools Outlook Password Recovery on all modern Windows OS operating systems. SysInfoTools Outlook Password Recovery was last time updated on 14.04.2018 and it has 571 downloads on Download.hr portal. Download and install SysInfoTools Outlook Password Recovery safely and without concerns. Demo version will show only the first two characters of the password for full length of the password. What do you think about SysInfoTools Outlook Password Recovery? Download.hr periodically updates software information of SysInfoTools Outlook Password Recovery from the software publisher (SysInfoTools Software), but some information may be slightly out-of-date or incorrect. SysInfoTools Outlook Password Recovery version 2.0 for Windows was listed on Download.hr on 14.04.2018 and it is marked as Shareware. All software products that you can find on Download.hr, including SysInfoTools Outlook Password Recovery, are either free, freeware, shareware, full version, trial, demo or open-source. You can't download any crack or serial number for SysInfoTools Outlook Password Recovery on Download.hr. Every software that you are able to download on our site is freely downloadable and 100% legal. There is no crack, serial number, keygen, hack or activation key for SysInfoTools Outlook Password Recovery present here nor we support any illegal way of software activation. If you like software product please consider supporting the author and buying product. If you can not afford to buy product consider the use of alternative free products. Is it safe to download and install SysInfoTools Outlook Password Recovery? SysInfoTools Outlook Password Recovery was checked for possible viruses by various leading antivirus software products and it is proven to be 100% clean and safe. Although, no malware, spyware or other malicious threats was found we strongly advise you to check product again before installing it on your PC. Please note that laws concerning the use of SysInfoTools Outlook Password Recovery may vary from country to country. Please be sure that you are using SysInfoTools Outlook Password Recovery in accordance with the law in your country. How to uninstall SysInfoTools Outlook Password Recovery? How do I uninstall SysInfoTools Outlook Password Recovery in Windows Vista / Windows 7 / Windows 8 / Windows 10 OS? Make sure the "SysInfoTools Outlook Password Recovery" is highlighted and then make right click, and select Uninstall/Change. How do I uninstall SysInfoTools Outlook Password Recovery in Windows XP? Make sure the "SysInfoTools Outlook Password Recovery" is highlighted, then click "Remove/Uninstall." How do I uninstall SysInfoTools Outlook Password Recovery in Windows 95, 98, Me, NT, 2000? Select "SysInfoTools Outlook Password Recovery" and right click, then select Uninstall/Change.